The much loved British Paddington bear is now becoming a US favorite too due to the fantastic new Paddington Bear movie. Will Paddington�s marmalade sandwiches take over from Peanut Butter & Jelly stateside? Paddington never likes to be without his marmalade sandwiches. When Michael Bond created Paddington, who knew a bear from Peru could start such a commotion? Or that Marmalade would be all the rage in the USA? Pack your lunchbox with some delicious marmalade sandwiches inspired by Paddington�s adventures. It may just come back empty. Maybe you can even surprise a loved one with a Paddington bear stuffed animal or book too! 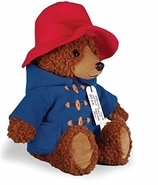 See our complete collection of Paddington Bear movie stuffed animals too! 16 oz. Golden Shred Marmalade with Paddington on label. Adults and children will love Paddington Bear marmalade sandwiches. 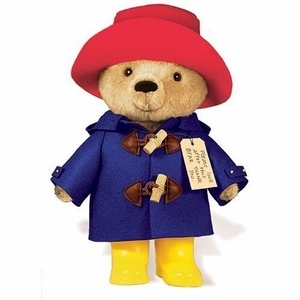 8.5" Official Paddington Movie bear. 10" Paddington with yellow wellingtons. official licensed product. Winnie the Pooh loves his honey. Paddington Bear loves his marmalade. Both of these British bears are super popular in the UK. Now with the new Paddington Bear movie, Winnie the Pooh may be sharing his limelight stateside with Paddington Bear. Michael Bond the creator of Paddington Bear is now seeing his bear on the big screen. If you look closely in the movie, Mr. Bond plays a cameo part with a wave from a car. The new Paddington Bear movie and the book are all about the kindness of Paddington Bear. Michael Bond brought home a lonely stuffed animal bear for his wife on Christmas day in 1956. His imagination then ran wild and he created the first Paddington Bear book, and the rest as we say, is history. 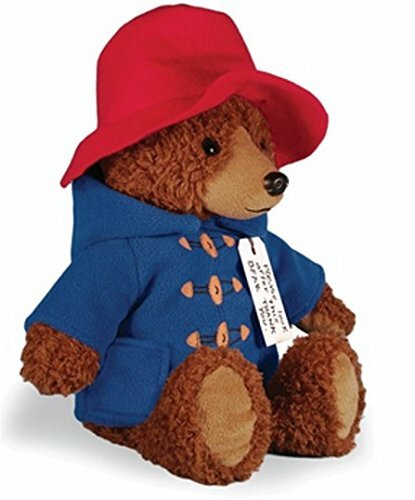 Bring a little more kindness into your home with a Paddington Bear stuffed animal or a marmalade sandwich. 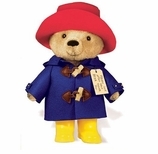 Paddington cannot seem to get enough marmalade and we can�t seem to get enough of this little bear.